Obsessed with a good deal? 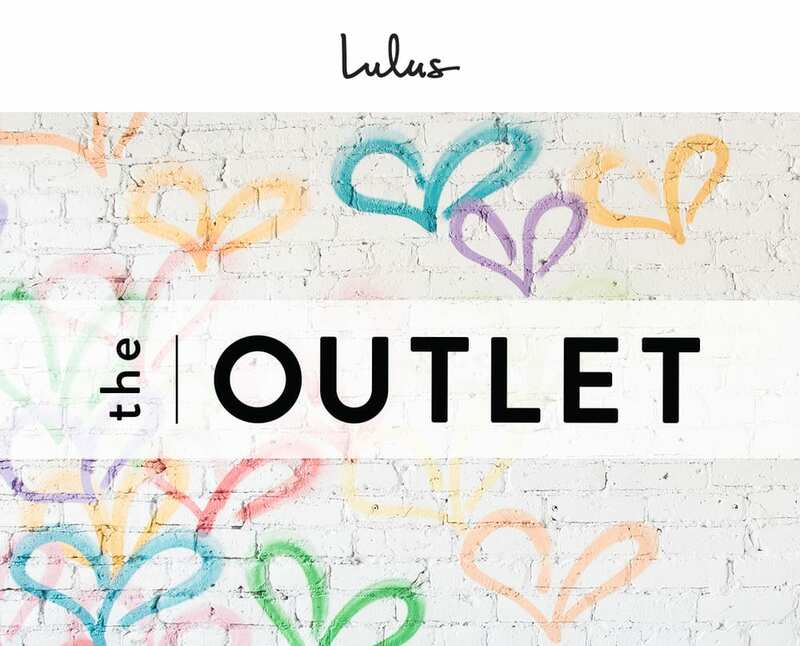 Shop near-perfect Lulus looks at AMAZING prices! Everything is $5 - $20 - including incredible brand-name pieces, fabulous formal dresses, stunning shoes, and adorable accessories. Find your hidden treasure in The Outlet's huge selection of shopping bins - you never know what chic styles you'll discover. Be prepared to rummage! Your work will pay off!